In an ever evolving market where packaging is inalienable to overall product experience, Uflex – India’s largest global flexible packaging company infallibly ensures a perfect interplay of unsurpassed innovation, improvised functionality, superior aesthetics, enhanced barrier properties, unmatched anti-counterfeiting features and sustainability in every solution that it offers to its clientele in over 140 countries across the globe. The latest feather in the organization’s cap is Gold Flexible Packaging Achievement Award 2016 in the Printing, Shelf Impact and Packaging Excellence categories that have been conferred to Uflex’s KOHINOOR Anti-Slip Bag Package by Flexible Packaging Association. 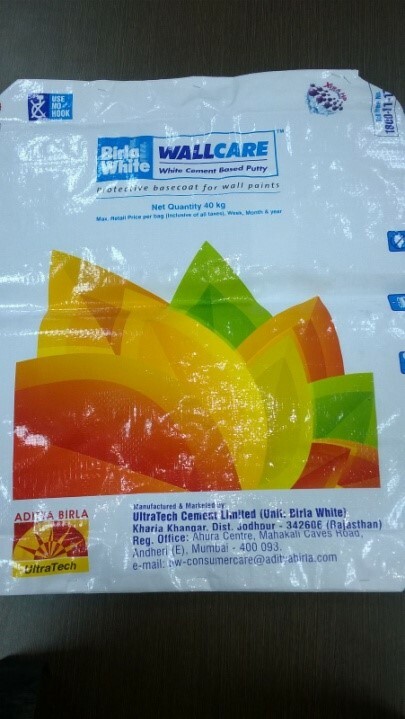 Pairing this award is yet another accolade – Silver Flexible Packaging Achievement Award 2016 in the Technical Innovation category that went to BIRLA WHITE WALLCARE WPP Bag, yet another superior product by Uflex. 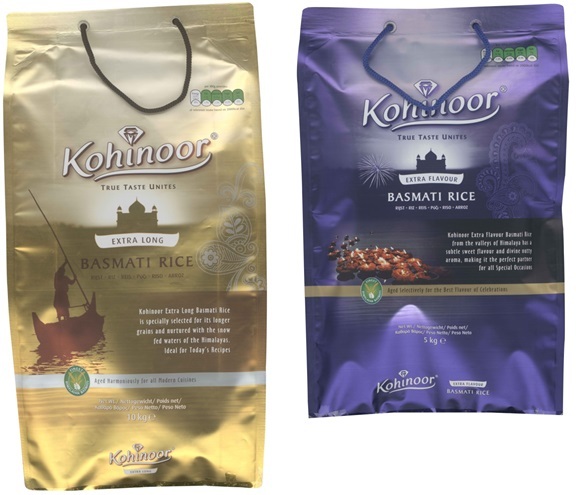 KOHINOOR Anti-Slip Bag Packagefor the European Market is a unique solution for premium rice packaging for reasons more than one. It is one of the first large bags to be made from Stackable Matt BOPP high Seal Initiation Temperature (SIT) and has the optimum strength to hold weight as high as 10 to 40 LB. This challenging film was developed in-house by Uflex. Nano perforation has been provisioned for in this bag that helps in de-aeration and ensures that the pouch does not blot after filling and hence sits well on the pallets. One way Nano perforation does not allow any contamination. This is a very unique technology developed by Uflex. Both stackable BOPP and friction created by Nano perforation make the bag anti-skid and, therefore, alleviates the use of anti-slip sheets while palletizing, thereby reducing the secondary packaging cost. High-resolution printing and superior graphics on the bag help it to stand out and get noticed on the retail shelf. Registered gussets are a very special feature of this bag. The bag can be stacked both horizontally and vertically helping in optimum utilization of expensive retail shelf space, without compromising on brand visibility. Further, a soft rope handle makes it very convenient for the consumers to carry the bag. Occupational health and safety of workers. Two rather dichotomous requirements have been impeccably addressed by Uflex while designing this bag. De-aeration holes have been provisioned for the air to escape during the filling process yet prohibiting moisture from entering into the bag thereby helping the building material withstand harsh environment and maintain its full functionality over an extended shelf life. Uflex is India’s largest end-to-end flexible packaging company and an emerging global player. Since its inception back in 1983, Uflex has grown from strength to strength to evolve as a truly Indian Multinational with consumers spread across the world. Uflex today has state-of-the-art packaging facilities at multiple locations in India with installed capacity of around 100,000 TPA and has packaging film manufacturing facilities in India, UAE, Mexico Egypt, Poland and USA with cumulative installed capacity in excess of 337,000 TPA. Uflex Limited is also a part of the D&B Global Database and winner of various prestigious national and international awards for its products’ excellence. Uflex offers technologically superior packaging solutions for a wide variety of products such as snack foods, candy and confectionery, sugar, rice & other cereals, beverages, tea & coffee, dessert mixes, noodles, wheat flour, soaps and detergents, shampoos & conditioners, vegetable oil, spices, marinates & pastes, cheese & dairy products, frozen food, sea food, meat, anti-fog, pet food, pharmaceuticals, contraceptives, garden fertilizers and plant nutrients, motor oil and lubricants, automotive and engineering components etc. Some of Uflex’s clients on the global turf include P&G, PepsiCo; Tata Global; Mondelez, L’ Oreal, Britannia, Haldiram’s, Amul, Kimberly Clark, Ferro Rocher, Perfetti, GSK, Nestle, Agrotech Foods, Coca Cola, Wrigley, Johnson & Johnson among others.